alessandro bianchetti photographer - blog! 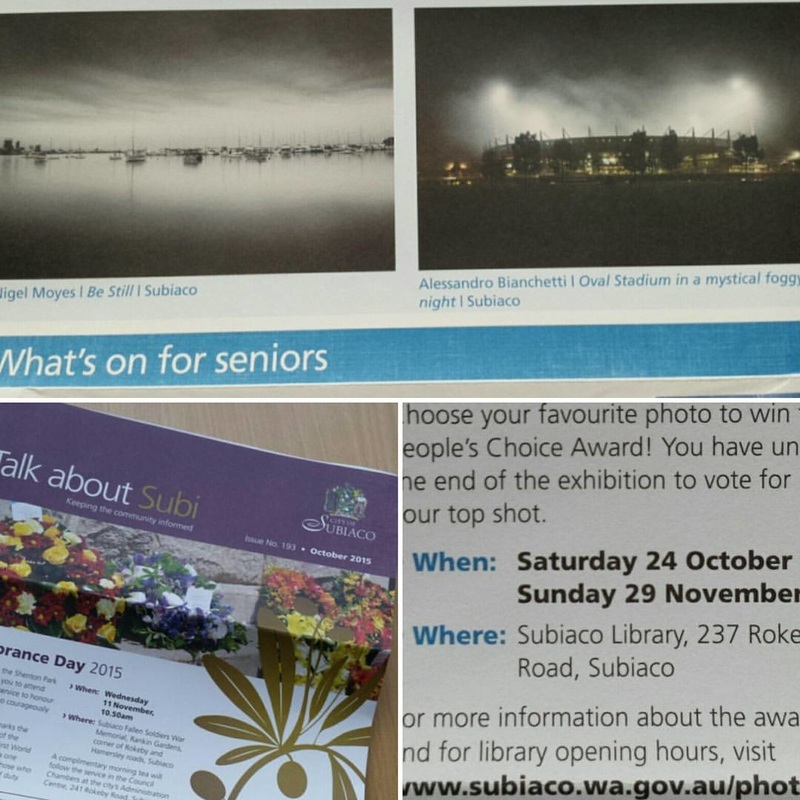 I couldn't believe myself tonight at Subiaco Library during the announcement of winners Photography Award 2015, when I heard the speaker calling the title of my photo "Subiaco Oval Stadium in a mystical foggy Night" and my name. I can't describe how was my feeling and my emotion to be there on the stage and receive the certificate of winner. 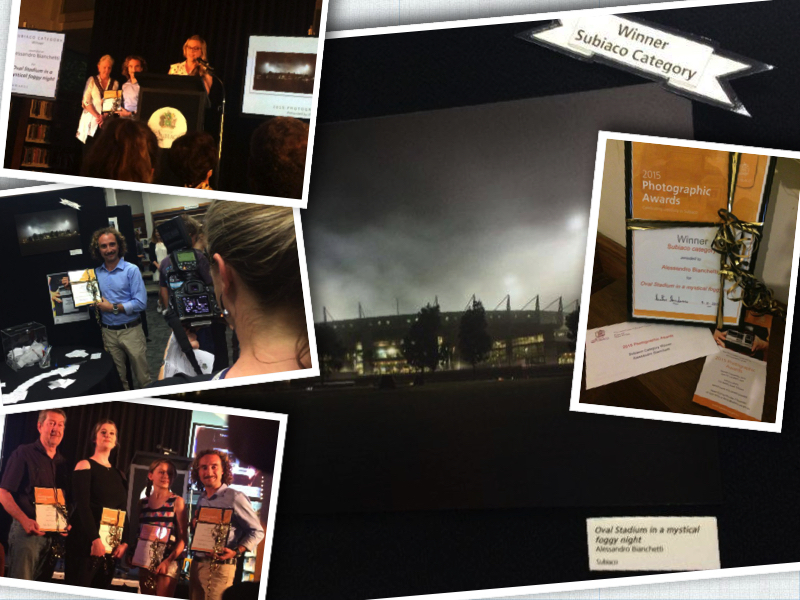 Thank to the judges for the kind word spent to explain the concept of that and the appreciation of my commitment to mounted a powerful picture. Many thanks to all people supported, encourage and trust me, Joseph Landro (printing) and Plastic Sandwich(mounting) for the accuracy and hight quality material they had provided for my artwork I really appreciate that. I'm really happy to have spent time with @Emma and @Todd, this afternoon at #Coogee #beach. 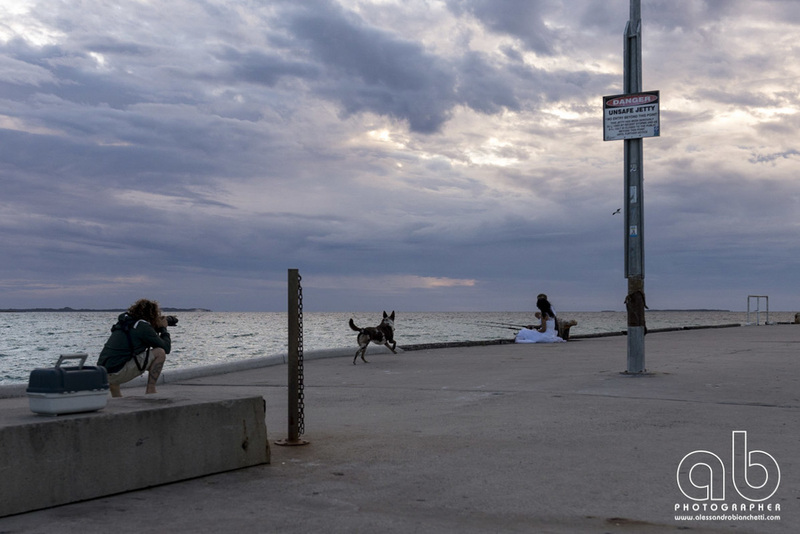 I had the #opportunity to #photograph their trash the dress. It was a really fantastic experience shooting them in various fun moments like running on the beach with balloons, jump into the sea, cycling on the jetty and play with their dog. Obviouslythe picture will come soon. Stay tuned guys, because...the video is coming soon! This is @vincenttolefe an amazing #‎perth #‎model, with #‎beautiful #‎body and a great #‎soul. I'm so glad then I had #‎opportunity to collabotare whit him. Yesterday we did #‎photo #‎shoot in my #‎photographicstudio. I have had this #pregnancy photo in my #mind for an age, but it takes me a while before I could transform the #fantasy into the #reality. Thanks everyone @BitnaraeKim @MarceloMachado and @RitaBolhoa for the huge help you guys gave me to realise it. 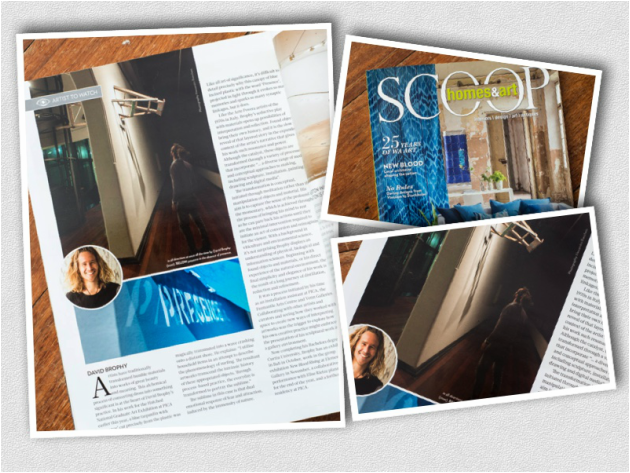 An article talk about David Brophy artist, the magazine Scoop used some of Alessandro images. Hey You! What's going on here? but everything depend from how many likes You can get of your media pictures. I tried to taken photo of myself in my #studio and try reverse the process.....I'm looking at you...not you at me. Hello, thank you for visiting my website and welcome in my personal blog. Keep tunned here for check the news, promotions and what is going on in my life and my mind.